Hey ladies! Remember back in May when I showed you my favorite spring lippies here on the blog? 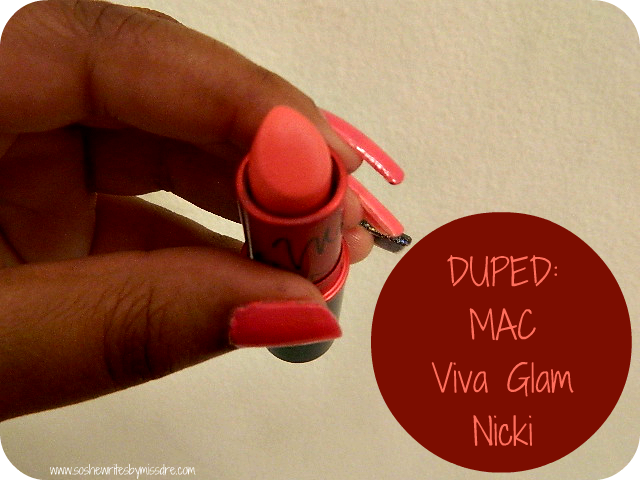 Well in that post, I shared MAC Viva Glam Nicki, which happens to be a popular shade for the summer as well. Described on the MAC website as a bright yellow pink with a satin finish, Viva Glam Nicki packs a huge punch of color with application. But did you ladies know that you don't have to spend $15 to get this shade? Well, the other day when I was playing around with my lippies, I noticed that Wet n Wild MegaLast lipstick in Pinkerbell looked very similar to the Viva Glam Nicki. The one on the right is MAC Viva Glam Nicki. 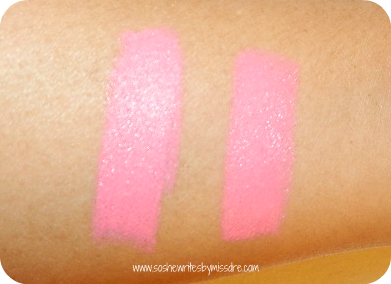 As far as differences go, Viva Glam Nicki has a satin finish, while Pinkerbell has a matte finish. Both of them are long lasting, because of their finishes. The main difference I see, however, is the price tags on them both. Viva Glam Nicki costs $15 and can be purchased from maccosmetics.com or your local MAC counter. Pinkerbell costs anywhere between .99 and 2.99 (depending on which drugstore you go to and if you have a coupon on hand) and can be purchased from K-Mart, Walmart, CVS, and other drugstores. 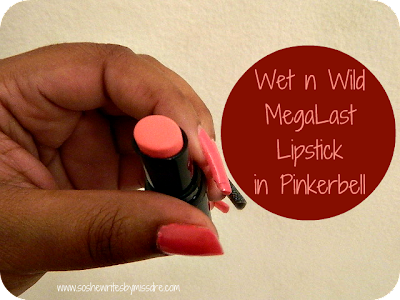 One thing I did not like about the MegaLast lipsticks is the packaging. Residue from the black tube seems to be rubbing off onto my hands when I use this lipstick. Has anyone else had this problem with the MegaLast lipsticks? DO YOU HAVE VIVA GLAM NICKI? PINKERBELL? IF NOT, WILL YOU BE TRYING THEM? Check out the beautiful Jaleesie's video on 5 different ways to rock Viva Glam Nicki (or Pinkerbell if you prefer. I mean who's gonna know lol). Stay tuned for my Duped post next week!